Paperback, 9.5 x 6.5 in. / 270 pgs / illustrated throughout. Edited with text by Regina Bittner, Elke Krasny. 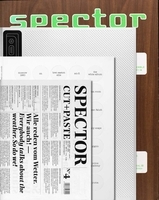 Text by Rosie Cox, Adam Drazin, Katherine Gibson, Rania Ghosn, Hilde Heynen, Maliha Safri, Stefani Bardin, Katja Szymczak. 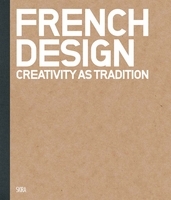 Contributions by Gemma Savio, Chloé Roubert, Irma del Valle, Iris Lacoudre, Alison Hugill, Andres Jaque, Sarah Bonnemaison, Zissis Kotionis, Phoebe Giannisi, Yane Calovski, Mauro Gil-Fournier, et al. 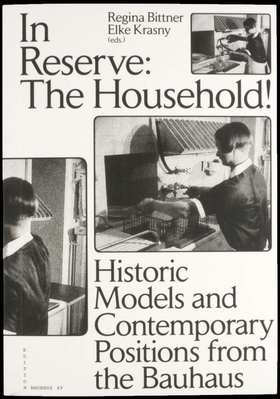 “How are we to live in a way that is healthy and economical?” One answer to this question was provided by Ernst Jahn’s film of the same name ("Wie wohnen wir gesund und wirtschaftlich?," 1926–28), which showed the kitchen in the Gropius House complete with all the latest domestic appliances. The Dessau Masters’ Houses were not only showcases of “new living” (Neues Wohnen) but also places where modern methods of housekeeping could be demonstrated. The topical relevance of this question was discussed at the 2015 Haushaltsmesse, an international trade fair on the art of housekeeping and budgeting. In Reserve: The Household!, which takes a documentary approach to this subject, now brings together these different viewpoints eyeing the question through the prism of the problems we face today. In the face of climate change and dwindling resources, the externalized costs of running a modern household are back on the (kitchen) table. The book is a compilation of essays by internationally renowned anthropologists, economists, artists, architects, historians, and cultural studies experts and also contains a wealth of historical documents and photographs. FORMAT: Pbk, 9.5 x 6.5 in. / 270 pgs / illustrated throughout.